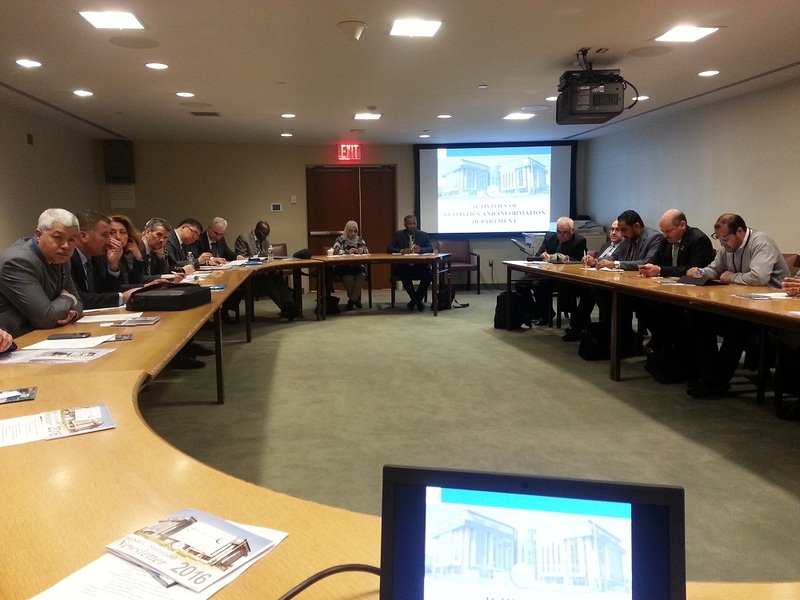 SESRIC, in its capacity as the Secretariat of the OIC Statistical Commission (OIC-StatCom), organised the annual Meeting with the Delegates of National Statistical Offices of OIC Member Countries on 8 March 2017 in Conference Room A of the UN Conference Building as a side event meeting of the 48th Session of the United Nations Statistical Commission in New York, USA. H.E. Amb. 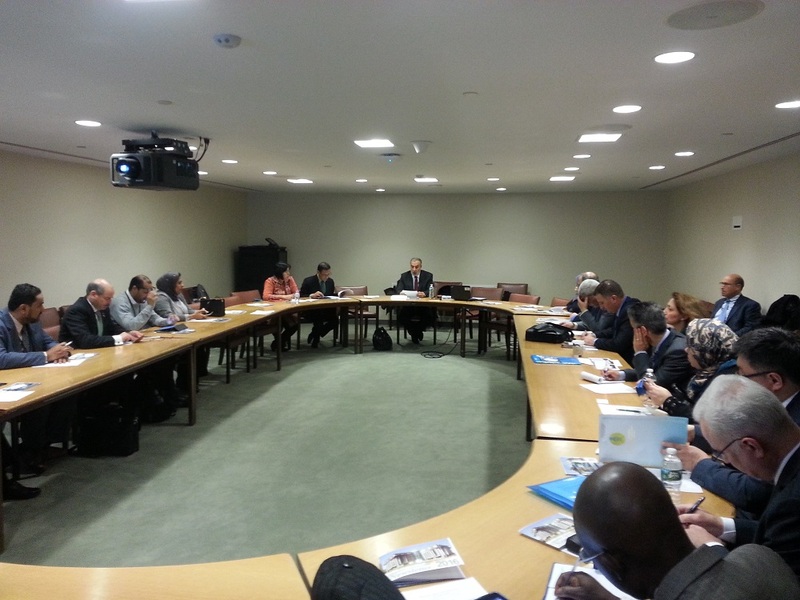 Musa KULAKLIKAYA, Director General, and Dr. Atilla KARAMAN, Researcher at the Statistics and Information Department, represented the Centre at the side event. The meeting was attended by a total of 34 participants (26 representatives from 17 OIC Member Countries including Algeria, Azerbaijan, Bahrain, Cameroon, Egypt, Guyana, Indonesia, Iran, Jordan, Kazakhstan, Libya, Morocco, Oman, Palestine, Qatar, Senegal, and Tunisia together with 6 international and regional agencies including AITRS, GCCStat, IDB, SESRIC, UNESCWA, and UNSD). In his opening speech, H.E. Amb. Musa KULAKLIKAYA congratulated the UNSD for the 70th Anniversary of the global statistical cooperation under the umbrella of UN Statistical Commission and said that the countries are the steering force of the international statistical system. Highlighting briefly the projects both ongoing and new ones soon to be launched, H.E. Amb. 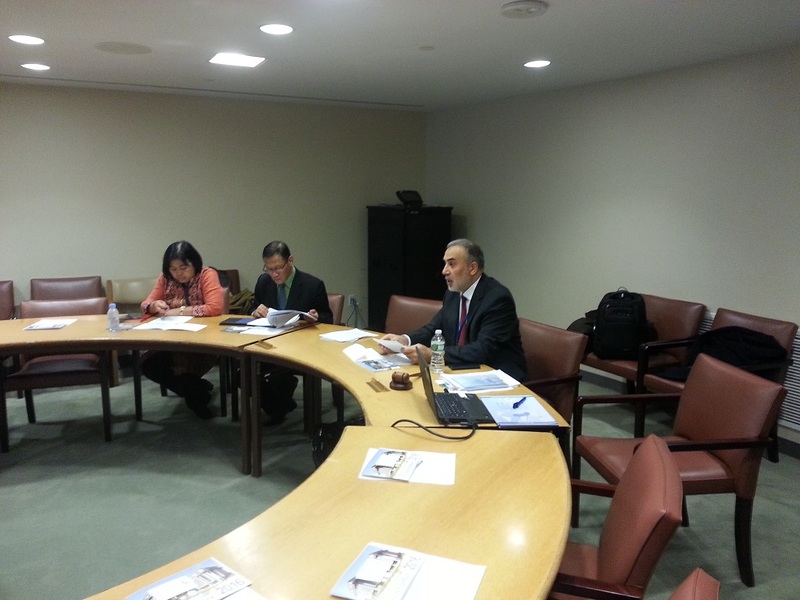 KULAKLIKAYA added that SESRIC exerts the maximum efforts by using its resources effectively to increase the number of statistical activities and the synergies brought about in close collaboration with international and regional organisations to contribute to the statistical capacity development of OIC member countries. Following the speech of H.E. Amb. Musa KULAKLIKAYA, Dr. Atilla KARAMAN delivered a presentation on the completed, ongoing, and planned statistical activities of SESRIC. During the Q&A session, the delegates provided their feedback and comments on the statistical activities of SESRIC and how to expand the spectrum of these activities to cover SDG indicators.